The Honda Civic has long been a a great project car for tuning. There are many places that you could start your project, but a lowering kit offers enhanced performance in handling and fuel efficiency. Unfortunately, not all Honda Civic lowering kits are created equally. Buying the wrong kit can have the disappointing effect of decreasing your car’s performance. Here are is the main point to look for in any kit before you purchase one. The amount of travel that the lowering kit allows directly affects how much roll you experience in turns, thus affecting handling. The kit that you choose should only allow 1 inch of travel. Additional travel will cause your car to bottom out, anything less will not positively affect your car’s performance. After installing your lowering kit, you will need to have your car realigned. The lower center of gravity will throw off the suspension geometry of your car. 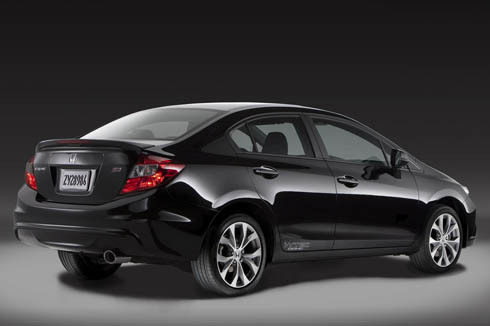 Keep in mind that a lowering kit will not completely optimize your Civic’s handling. In addition to lowering your car, you may want to consider adding front and rear sway bars, strut tower braces, or a two point under carriage brace. All of these parts are designed to help reduce squat during acceleration and roll turning a turn. None of these parts add noticeable weight to your car. One final part that can be overlooked is a larger set of tires. Adding one or two sizes to the standard tires can close any remaining gap between the tire and the wheel well of your Civic. Adding a lowering kit to your Honda Civic is not a beginner level upgrade. Any time you change the suspension of your car, you can create a dangerous situation for yourself. Take care to have an expert install any of these parts. When you are finished you should be able to notice an additional 15% in fuel efficiency and a quicker time on the short track as well as any slalom type event. All of that and no one has mentioned weight reduction yet.